“The Aquamira Frontier Max is the most versatile inline filter available on the market today. The Aquamira Series IV RED Line filter included with the Max is certified by IAPMO to EPA standards for the removal of virus, bacteria, Cryptosporidium and Giardia, for 120 gallons of use in the field. The MAX is certified lead-free (NSF/ANSI-372) and reduces bio toxins, chlorine, chemicals, bad taste and odor from any water source. 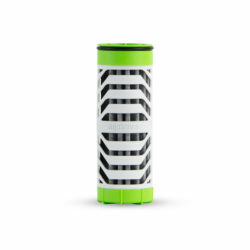 Aquamira Series IV connectivity allows you to customize the Max with any Series IV filter cartridge for use in emergencies, international travel, backcountry excursions or anywhere the water may be of questionable biological or chemical quality. The patented UQC connectors make it simple to plug into any hydration pack or inline system without a need to replace your current connectors. 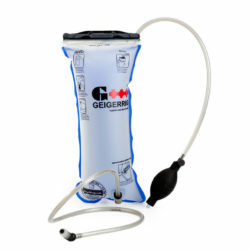 Plug in the patented Bite Me valve to convert your MAX into a straw filter. "The motivation behind the Frontier MAX filtration system was easy, we wanted a filter that does everything and does it better than anything else. So we told our engineers to get to work, and what they designed is the Frontier MAX. MAX because it does it all, and does it better than anything else. 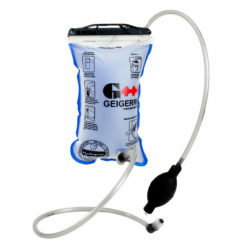 We wanted a filter that connected to hydration packs. The MAX incorporates our patented UQC connection system that allows you to connect it to any quick connect on the market. 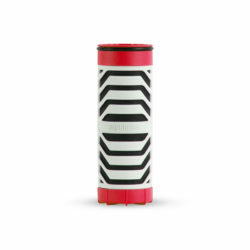 We wanted a filter that protected you from every biological threat that you might possibly encounter, so we included the Aquamira RED Line filter, the only outdoor and tactical filter system, certified* to EPA standards to remove >99.99% of viruses, 99.99999% of bacteria and 99.95% of protozoans for 120 gallons of in the field use. Biological threats are not the only things to worry about so the MAX is certified* lead free (ANSI/NSF-372) and is also BPA free, chemical free and iodine free. It reduces industrial chemicals, chlorine, bad taste and odors and has also been proven to remove microcystin and other biotoxins to safe levels. The best thing about the MAX is that it connects to anything with a simple ""click"" and it accepts an array of Aquamira Series IV filters so that you can customize your system for whatever environment you find yourself in. It even comes with a patented Bite Me valve that converts the MAX to a filter straw with the same simple ""click"". Nothing is more versatile, Nothing provides more protection, and nothing else provides you with certified* claims. Anything else is just hype.